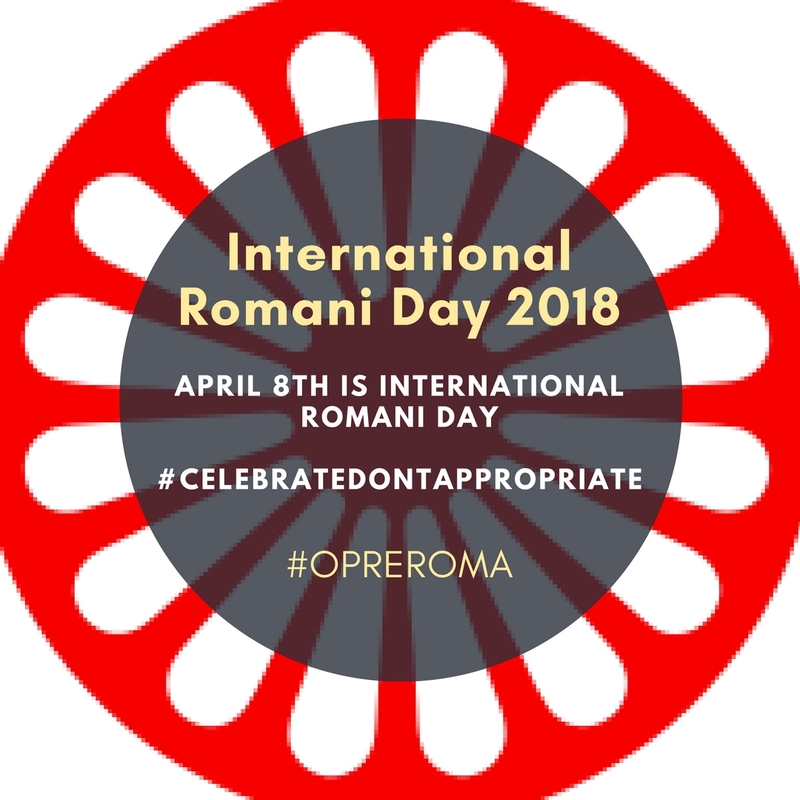 April 8th is International Romani Day, a day to celebrate Romani culture and raise awareness of the issues facing Romani people. The Romani are a misunderstood and much-maligned people. In fact, they are one of (if not) the most consistently and systematically oppressed minorities, having been the victims of persecution and genocide for their entire history as a distinct race. To begin to reverse this underlying (and often unrecognised) racism towards Romani, how about taking a few steps this Romani Day to celebrate Romani culture! Romani people have been the victims of systemic and persistent oppression since they first ventured into Europe from Northern India around 1000 years ago. They have been criminalised by virtue of race, forbidden in many places from owning land (one of the reasons many remained nomadic), persecuted, killed (e.g. 25-50% of Europe's Romani population were killed in the Holocaust), and were rounded up and sent to the Americas as slaves. Nowadays Romani are the largest ethnic minority in Europe and bear some of the worst socio-economic stats in the Union. For example, while 17% of Europe’s population overall is considered at risk of poverty, 80% of Roma face the same risk. Romani still suffer systematic, societal, and individual persecution, especially in Europe, but also in other countries like the US. Stop saying you were ‘Gypped’! The term Gypped (or gipped or jipped) comes from Gypsy, itself a pejorative term for the Romani people. Gypsy (Gyp, Gip, Gyppo etc.) comes from the mistaken belief that the dark-skinned nomadic (not always by choice...a topic for another time...) people originated in Egypt—hence Egyptian became 'Gyptian' and 'Gypsy'. Now that may seem quite innocent...but it's also ignorant and by extension oppressive...like how Europeans called Native Americans 'Indians'. Nowadays people use the term Gypped to describe being cheated or swindled, due to the common (and mistaken) association of the Romani people with cheats, thieves, and liars. And THAT is the common use of the term 'Gypped'... So—if you're using the term, you are implicitly promoting the stereotype of Romani people as thieves and cheaters. And if that's not just plain racism...I don't know what is. Step 3. Celebrate, don’t appropriate! It’s common to see the term ‘Gypsy’ used to describe a free-living or wandering lifestyle and while that is a secondary definition for the word, it is only so because the name was given to Romani and was, and still is, considered a derogatory term for them. It was due to the counterculture movements of the 1960s and 1970s in which fantastical 'Gypsy' stereotypes were romanticized, and due to these stereotypes of Romani as free-spirited wanderers, new-agers and Instagrammers and others have appropriated the term Gypsy to denote practically anything that embodies any aspect of hippy, hipster, new-age or counter-culture. Using the term ‘Gypsy’ just because you’re wearing a flowing dress or because you’re on holiday is actually pretty infantile, and yes, it is offensive to a lot of Romani people. Think about it this way, if you had a name applied to you for hundreds of year, that was considered a slur, and that completely distorted who you were, and then people began using that, and appropriating caricatured, cartoonish misrepresentations of your culture, dress, and customs, wouldn’t you be a little peeved about it? A good metric to use is that if you wouldn’t feel comfortable saying that you are #InjunStyle or #NegroSoul (etc. etc. ad infinitum, ad nauseum) then you shouldn’t use #Gypsy either. And here’s some people you may not know are of Romani descent: Django Reinhardt (one of the greatest Jazz musicians of all time); Actors Charlie Chaplin, Fairuza Balik, Tracey Ullman, Michael Caine; and NZ TV personality Paul Henry! Whether you think ‘Gypsy’ is racist or not, you must agree that saying you were ‘Gypped’ most definitely is. Think about it, you wouldn’t say you were N*&^^ered, or J***ed would you? So, if you hear someone saying it, why not just gently bring their attention to it? Most people don’t realise that they are saying something so offensive and are happy to be made aware of it. Step 5. Eat, drink, and be merry!